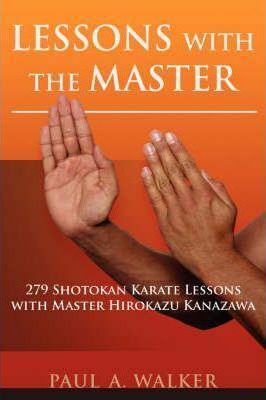 A detailed and unique training resource, "Lessons with the Master" is a meticulous account of the teaching methods and lesson strategies of world-famous karate master Hirokazu Kanazawa, chief instructor and president of the Shotokan Karate International Federation of Japan. Author and karate instructor Paul Walker spent three years studying karate under the direct guidance of Master Kanazawa and his expert instructors and has now compiled his diary entries of those years into this easy-to-understand reference for all students and instructors of Shotokan karate." Lessons with the Master "offers ideas, tips, and guidance on the use of authentic Shotokan karate-do to supplement and improve current training and drill-teaching. Using the database of lessons, the additional explanations on lesson components, and the many other instructional tips, students and coaches can design an endless number of coherent and effective workouts and incorporate them seamlessly into their regular karate training. Detailed lesson notes, a glossary, and Walker's engaging anecdotes make "Lessons with the Master" an indispensable resource for all karate practitioners.